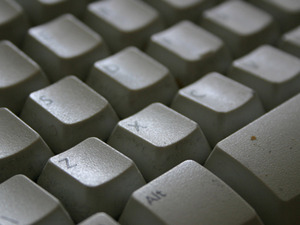 According to a study run by the University of Arizona, the average computer keyboard contains more bacteria - 400 times more - than the average toilet. This might seem shocking and ludicrous at first, but think about it for a second – toilets are usually regularly cleaned and have a surface that’s easy to disinfect. Keyboards on the other hand are generally never cleaned and have plenty of nooks and crannies in which grime and bacteria can build up. Your hands provide food, warmth and moisture to any bacteria that wants it. 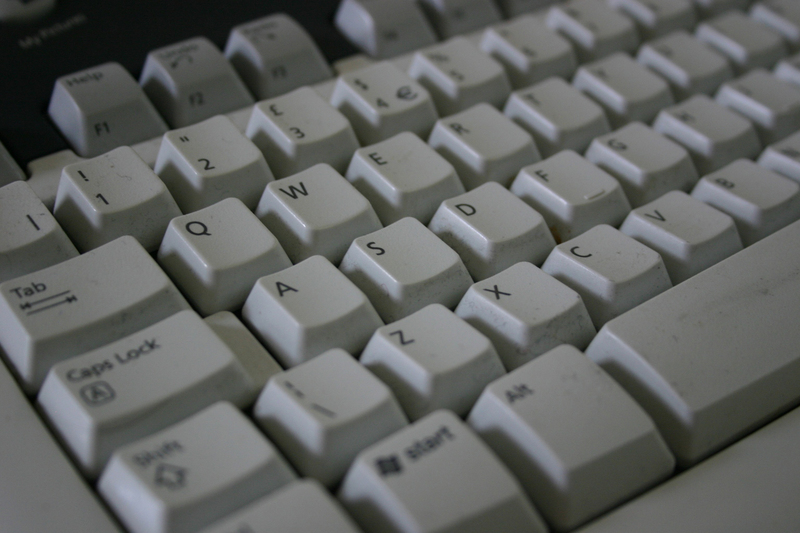 If you consider that not everyone washes their hands after using the bathroom, you’d probably hate to think what the average 10 year old office keyboard is harbouring – especially on shared machines. It’s not just office keyboards that are going to be a hive of scum and villainy – if you eat or drink at your PC while gaming, surfing the web or laughing at Yo Dawg pictures in the forums, or if your keyboard is getting on a bit, then in all likelihood, it could do with a clean. 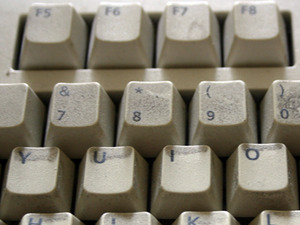 If you’ve just read that, looked at your keyboard and felt a shiver down your spine and thought about swine flu, then you either need to some serious cleaning, or it's time to buy a new keyboard. No matter which route you choose, remember to clean it regularly to keep it that way. We decided to investigate a few methods of cleaning a keyboard to see which was the most effective – and, because no-one really likes cleaning, which was the easiest. We scoured the floors of Dennis Publishing and found some fairly scummy looking keyboards to test. First, a few general tips. As with all cleaning jobs, the longer you leave it, the harder it’s going to be. Secondly, washing your hands regularly with soap and water will reduce bacteria levels and removes any other food substances that might be left on your fingers. 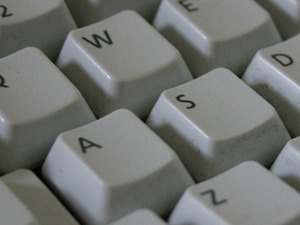 Alcohol wipes are a cheap and effective way of keeping bacteria levels at a minimum on your keyboard’s surface - a quick once-over every week will do it wonders. If you can, avoid eating and drinking at your desk. If you can’t, then turning they keyboard upside down once a week and giving it a good shake should help get rid of any crumbs and dust that might be building up in between the keys. Canned air is really handy stuff to have around and can be purchased in general DIY and hardware stores such as Maplin for around £7 for a large can (Maplin grandly calls it an ‘Air Duster’). However, if you look around you should be able to get it a little cheaper – especially online. Canned air does exactly what it says on the can – it’s a can of compressed air that will come out with a fair amount of force. You can use it to blast away the dirt and dust that has found its way into your keyboard. We fitted the extended straw to the nozzle which made getting behind the keys a little easier. It did manage to dislodge some of the newer dust, but realistically, as you can see from the photos it fared very poorly when it came to the caked on dirt and grease. Due to the temperature of the gas, we also found moisture collected on the surface of the keyboard – so any dust that was shifted soon found itself stuck in a new position. 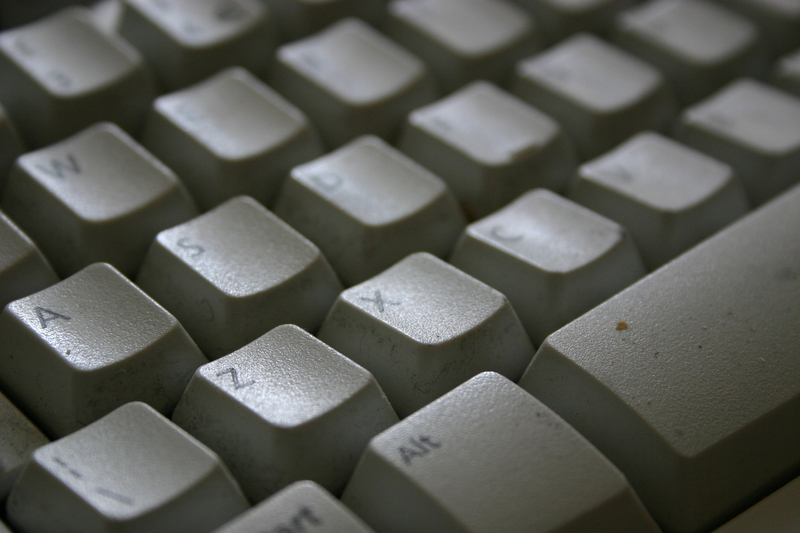 As a method of cleaning a keyboard, it’s pretty useless – most of the built up dirt might have started as dust, but thanks to moisture and Father Time, it becomes stuck to the keyboard and you’ll need something a little stronger than air to remove it. Any dirt removing properties canned air has can be easily and freely simulated by turning the keyboard upside down and giving it a knock – or a blow with the hair drier. Verdict: As good as a load of hot air, it’s not useful when it comes to shifting keyboard grime.